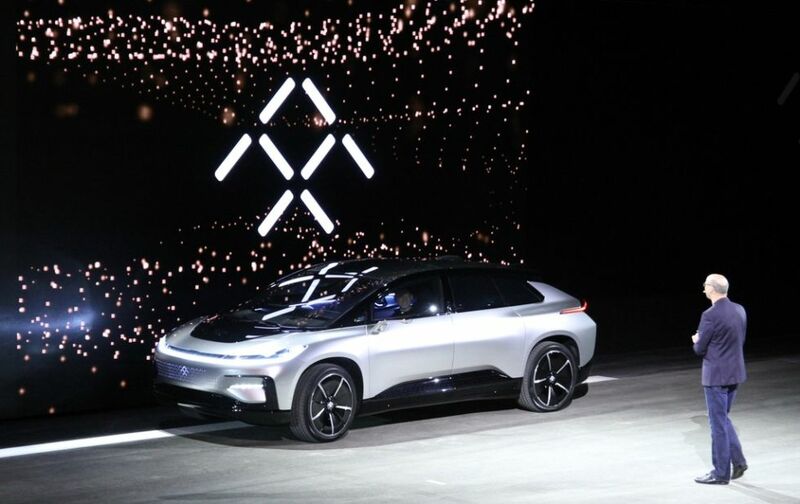 Financially beleaguered and lacking two top executives—who left just before the end of the year—Faraday Future unveiled its first actual electric car at the 2017 Consumer Electronics Show in Las Vegas on Tuesday night. Calling it “a new species” that “reformats the future,” the FF91 (“nine-one”) has a name which will confuse rather than clarify, but the critical numbers are impressive. Faraday claims the FF91 will have the biggest electric drive system at 130kW of energy (using cells provided by LG Chem but packaged by Faraday). The greatest range, at a minimum of 378 miles using the EPA’s protocol (700km on the EU cycle) before needing a charge. 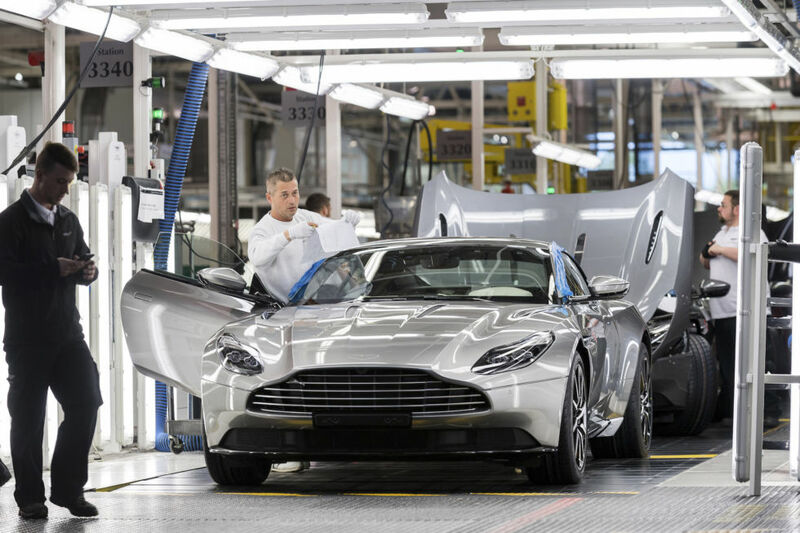 And a power output of 783kW (equivalent to 1,050hp). Charging is important to Faraday, too, and an open charging strategy across networks works at 1.5, 10, and 15kW power levels, though the fastest DC charging will operate over 200kW. This is the Volkswagen I.D. It’s an electric car with a decent (250-300 mile) range that you’ll be able to buy in 2020. Within the first few weeks of Volkswagen’s diesel shenanigans becoming public knowledge, the company’s board decided that electrification would have to be the way of the future. 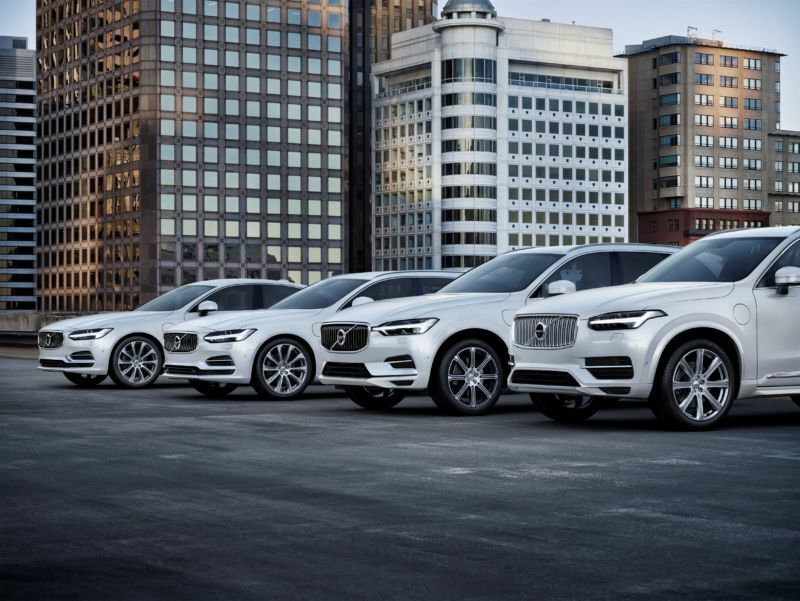 And earlier this year, the company got more concrete about those plans, forecasting that 20 to 25 percent of its sales in 2025 would be electric vehicles. While we’d already seen veiled production EV concepts from Audi and Porsche, at the Paris Motor Show on Wednesday VW revealed the I.D. concept, a battery electric vehicle that VW says will go into production in 2020. The I.D. features a 125kW motor, batteries good for 250 to 375 miles’ range (400 to 600km) according to VW, and it’s the first car to use VW Group’s Modular Electric Drive (MEB) platform. 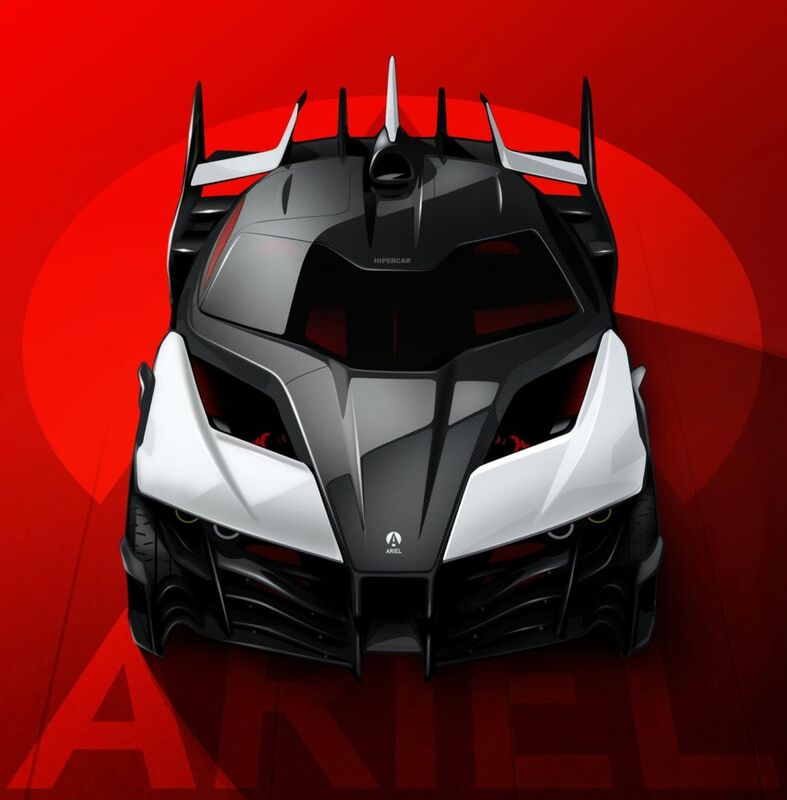 (The Audi e-tron and Porsche Mission-e concepts linked above both predate MEB.) The I.D. will be launched as a model parallel to VW’s very successful Golf, and the dimensions look roughly similar based on the provided images of the car. VW also tells us that the car is our first look at the marque’s plans for autonomous driving. A self-driving mode will apparently be available from 2025, and when in automated mode, the steering wheel recesses into the dash. 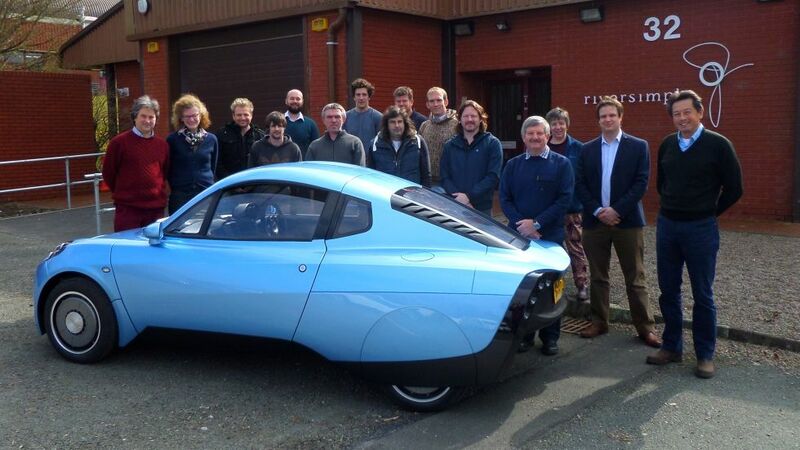 An industrial estate on the outskirts of a sleepy spa town in deepest Powys, Wales, may not strike you as the obvious place to find an ambitious little hydrogen vehicle maker with plans to revolutionise the way we power, drive, and own our cars. But it shouldn’t come as that much of a surprise. “Part-powers?” I hear you ask. While the majority of electric and hydrogen cars currently on the market are essentially conventional designs with battery or fuel-cell-and-battery power sources, the Rasa—the name comes from tabula rasa, the Latin for blank or clean slate—is the result of altogether more clever thinking. I’m inclined to use a word I usually avoid like the plague—holistic—to describe Riversimple’s view of automotive design. LAS VEGAS—Today at CES, General Motors’ CEO Mary Barra will formally unveil one of the most significant new cars in the company’s history. It’s called the Chevrolet Bolt, and when it goes on sale later this year it will be the first long-range battery electric vehicle that’s truly affordable. In fact, GM says that after the $7500 IRS EV tax credit, the Bolt will cost under $30,000, making it cheaper than the average new-car price ($33,560 in 2015, according to Kelley Blue Book). Not bad at all for an EV with a 200-mile range. 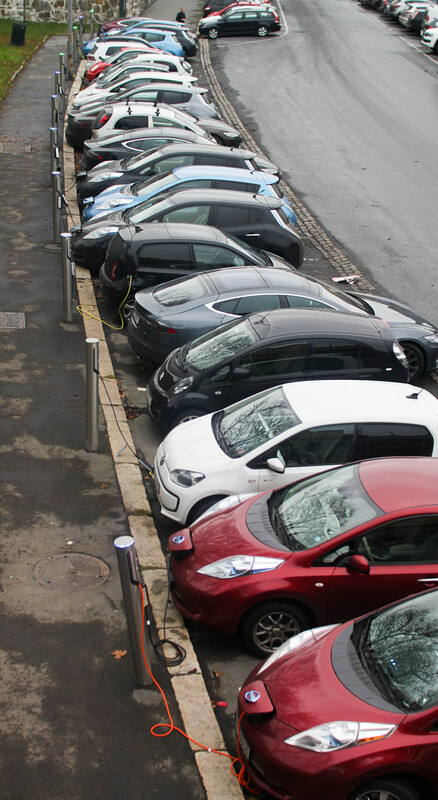 A row of EVs taking advantage of free public charging in Oslo, Norway. Norway continues to lead the way in electric vehicle (EV) sales, at least as a percentage of all new car sales, according to industry analysts IHS Automotive. One in three new cars sold in the oil-rich Nordic nation was an EV in the first quarter of the year, and Volkswagen’s e-Golf was the best seller. Although EVs made up fewer than one percent of all new cars registered in the US over the same time frame, that accounted for almost 15,000 of them, making it the largest market in terms of overall numbers. China was runner-up, with 12,550. IHS’ data shows the wisdom of Tesla’s EV strategy, too. In the US, Model S sales in Q1 outstripped every other EV. While the report doesn’t give us an actual number of Tesla Model S vehicles sold in the US, Autoblog reports that it must have been at least 4,086, since Nissan sold 4,085 Leafs (Leaves?) over the same period. IHS attributes strong sales in Norway, the Netherlands, China, and the US to powerful incentives, something we’ve explored recently at Ars. Within the US, EV sales are heavily skewed toward states like California and Georgia that offer large local incentives on top of federal EV tax credits. The analysts also point to a lack of good incentives for Germany’s poor showing on the league table, although they note that France did equally poor even though that country does incentivize EV purchases. The Flux Capacitor gets its first track workout. There’s an unlikely-looking contender for the title of Europe’s fastest street-legal electric vehicle (EV). It started life as an Enfield 8000, a small electric city car built in the mid-1970s. Now it’s the Flux Capacitor, the latest (and orange-ist) automotive project from Johnny Smith, a UK car journalist probably best known to American readers from his BBC America show. The Enfield 8000 was commissioned by a Greek tycoon after the oil shock in 1973, and it was designed by John Ackroyd, who was later responsible for the 1982 “Thrust 2” land speed record car. Fewer than 120 Enfields were built off the southern coast of England on the Isle of Wight. They were competent EVs for their time, with all the provisos that statement brings. Eight 12V batteries fed an 8 hp (6 kW) motor, giving the car a top speed of 40 mph (64 km/h) and a range between 35-55 miles (56-89 km). Smith decided to give an Enfield 8000 a new life as a drag racer, with thoroughly up-to-date internals. A pair of electric motors provide 500 hp (373 kW) and 1,000 ft lb (1356 Nm), fed by a custom Li-ion battery. The suspension and brakes have been suitably upgraded, as has the top speed (120 mph/193 km/h). Smith’s goal is a quarter-mile time under 12 seconds. Chevrolet showed off its latest concept car this week in Shanghai with a nod to the not-so-distant future. The Chevrolet-FNR is an electric vehicle that can also drive autonomously, but the real eye-catcher is the car’s design, marked by dragonfly dual swing doors and a hubcap-free set of wheels. Within the car, the front seats swivel 180 degrees to face the rear seats, allowing the driver to give complete control of the act of driving over to the car’s computer. Obviously, this is just a concept car, but it’s not absurd to imagine that this kind of trust in the car’s driving might be possible in several years. That would be pending government approval, of course: autonomous cars are already on US roads today, but several US states have ruled that the driver of an autonomous vehicle must stay alert and in complete control of the vehicle at all times. Component-maker Delphi recently did a cross-country trek in an autonomous vehicle, and in a few states, the driver was required to keep at least one hand on the wheel. The Chevrolet-FNR also includes an iris-recognition start, as well as a wireless charging system (so your garage can be clear of unsightly power cords, presumably). A roof-mounted radar system maps out the surrounding environment as you drive.